Array compilers. I have developed the Vector Pascal vectorising multi-core compiler, and am supervising a number of students working on this and on vectorising Fortran compilers for chips like the Cell or the Larrabee. This also includes work on the new Intel SCC processor. Econophysics. I work with researchers internationally on applying insights from information theory and algorithmic complexity theory to the study of economics. You can see a web page that computes the equilibrium rate of profit for different countries using a model we have developed. This work is summarised in the book Classical Econophysics. Physical Foundations of Computability. I am interested in the way the material world sets limits on what can an can not be computed. This is in conjunction with Lewis and Greg. This is the basis of a forthcomming book. 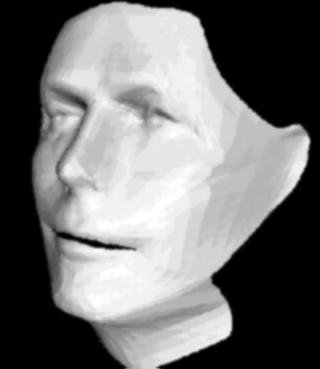 Much of my research at Glasgow has involved the building of moving stereo models of people and their faces. 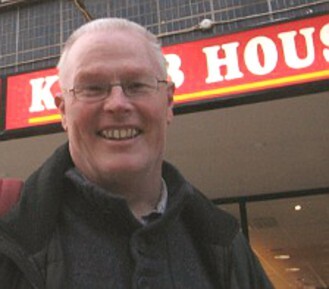 Part of a EU integrated project to develop technology for the digital film industry. The Glasgow component has involved the development of compressed representations for digital film. 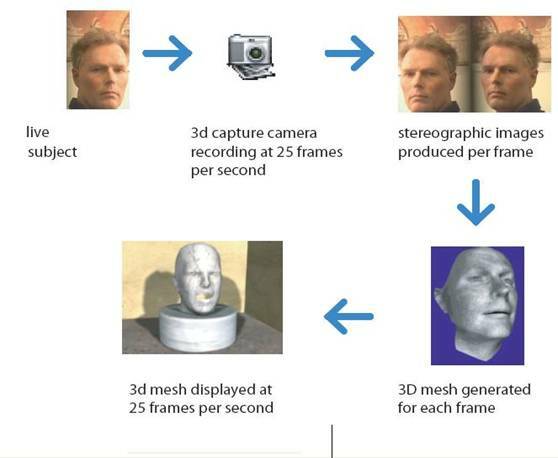 Developed under SHEFC Michaelangelo grant, extended under RACINE-S.
24 Video Cameras along with 16 cpus build 3D moving models of actors using stereo vision techniques. was used in 3 follow on research grants in association with film/TV industry. 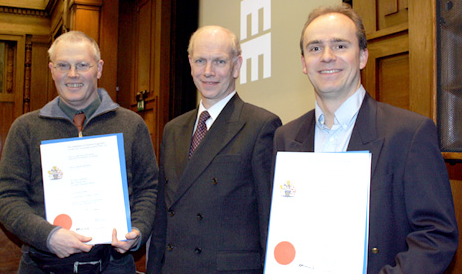 Paul Cockshott and J-C Nebel were presented with the A.H. Reeve Premium for their paper Experimental 3-D TV Studio. The award was presented by IEE President John O’Reilly FREng FIEE. A sequence captured using our dynamic 3D capture studio and then conformed to a generic mesh. This animated mesh was then processed by a high frequency filter to smooth the motion between frames based on vertex positions from adjacent frames. The mesh was then imported into 3D Studio Max® where materials and textures were added before the final animation was rendered.